At the end, nice and dirty! Then yesterday, Alex and I went on a 5-mile hike near our house - and saw a bald eagle! We couldn't get a photo, but it was very exciting. We had never seen one in Illinois before. We knew that there were some in the area, but getting to see one was pretty cool. This week, it's back to the knitting grind. I have some mittens to finish (the joys of a knit designer - you have to knit all the wintery things in summer) and a shawl that needs a few more rows. How was your weekend? 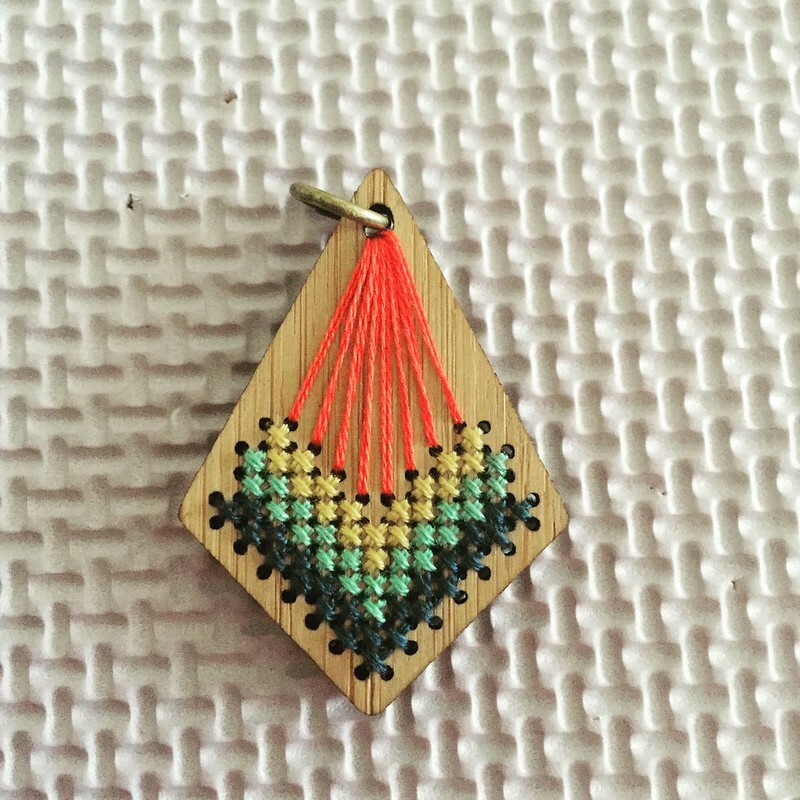 Last week I wrote about my latest crafty endeavor - cross stitch! It didn't take long for me to start a new project. I've been sneaking in a few stitches here and there over the last few days when I need a break from the knitting. This pattern is amazing. As a total newbie when it comes to cross stitching, I was so pleased to find loads of information at the start of the pattern. I'm looking forward to having a little more time next month to work on it. I've decided that July is going to be time to relax and recharge. I even bought a kit from Frosted Pumpkin to work on when I finish up this current project. I have one last thing I'm working on for my fall eBook. That's what I'll be working on today. Perhaps later this week I'll have a sneak peek of that one to show off! I've been knitting like crazy! I'm working on a new collection for fall (it will be in eBook format, released in the same way I did the Gradient Collection). Lots of accessories in this one! 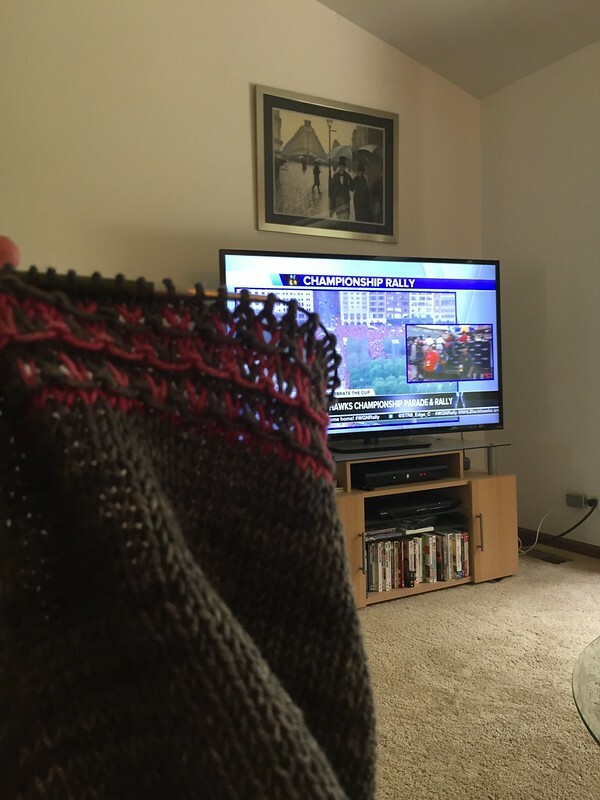 I knit on a piece while watching the Blackhawks rally from the comfort of my home last week. I love my hometown hockey team, but I do not love gigantic crowds. I have a few things finished up already too. There's a couple more things on the needles. I'm definitely excited for this fall/winter collection. I hope you love it too! 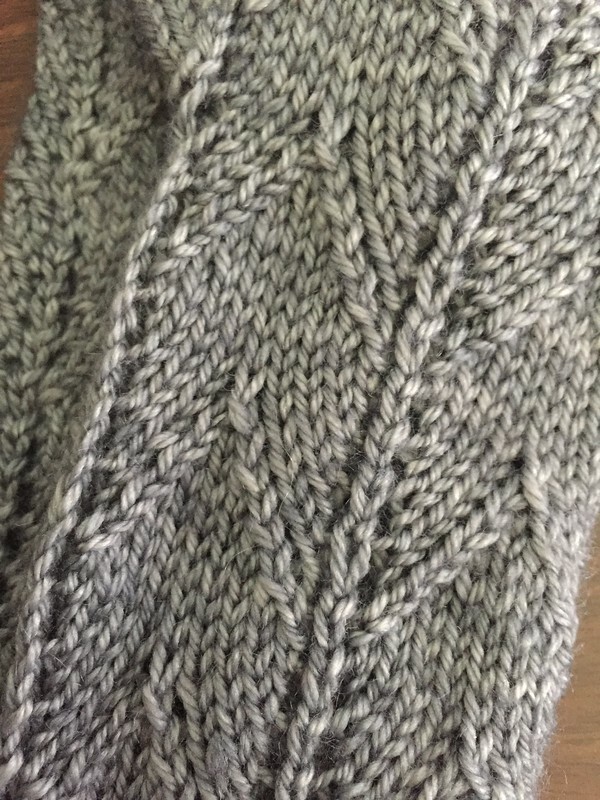 If you're in the Ravelry group or you get my email newsletter, you've already heard about this - it's time for the Second Annual Hat KAL/CAL! 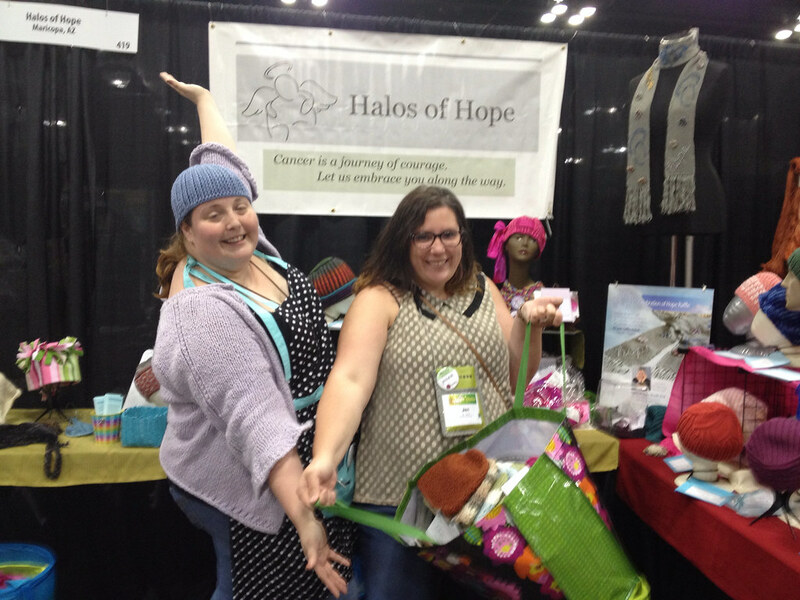 Last year, I collected hats for Halos of Hope and donated them at Stitches Midwest. This year, I'll be donating to a specific cancer center - Cancer Treatment Center of America in Zion, Illinois. This is the center where my dad was treated, and I would really like to do a little something to help them out. Everyone there was so wonderful to my dad and my family. You can read more about my family's experience here. Now through August 15th, I'll be collecting hats (the center also welcomes fingerless mitts and convertible mittens), so that I can donate them at the end of August. There will be prizes involved, including a prize for the person who sends me the most hats! You can knit or crochet any hat you want and I have a thread on Ravelry where you can link to your favorite hat patterns. My goal is to get 150 hats to donate to the center. So, if you have a little extra time and want to make hats for a great cause, join us for another great hat KAL/CAL! I decided to use this past weekend to work on whatever I wanted. The next couple weeks will be full of work knitting (I'm sending off the samples for my next eBook to the photographer at the end of the month - yay!) so I wanted to get a little "selfish crafting" in over the weekend. 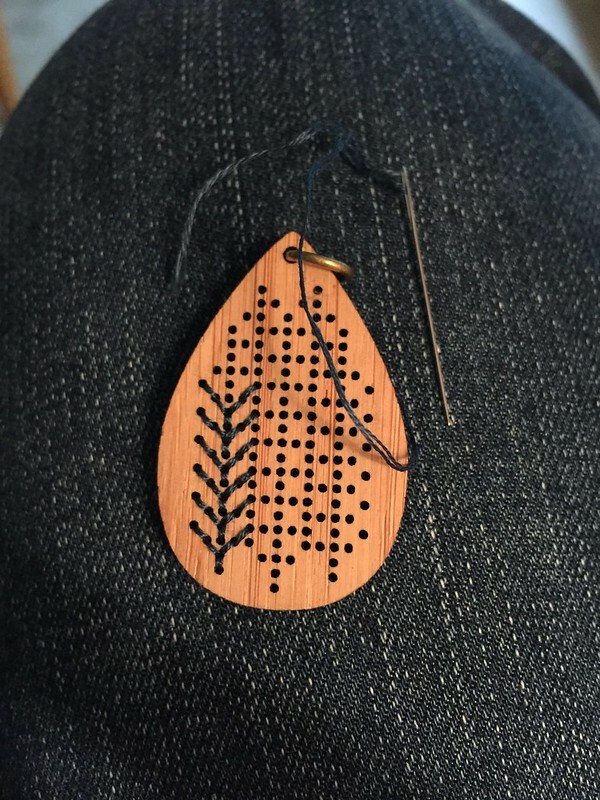 Last week I mentioned that I ordered another DIY pendant from Red Gate Stitchery. It arrived and I immediately started it. 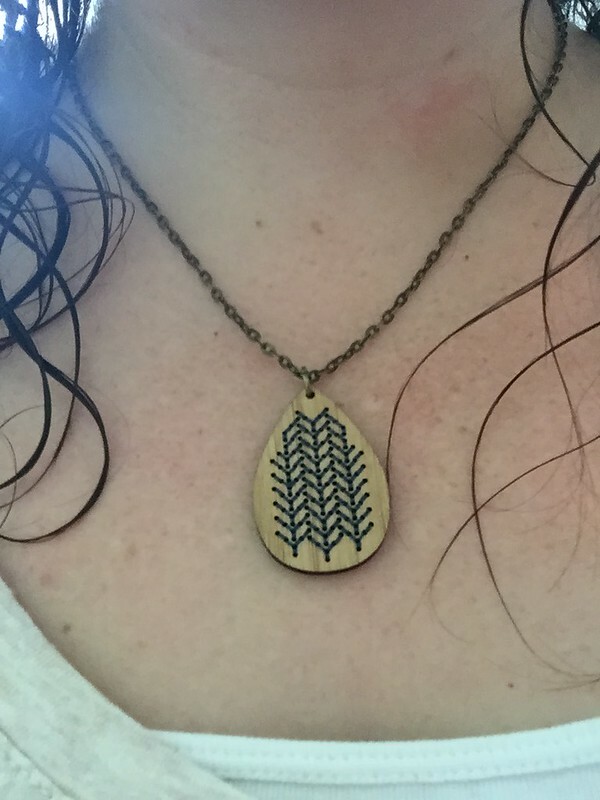 It didn't take long to have another beautiful pendant to wear. Once I finished that up, I decided to break out the cross stitch pattern I bought over a year ago from Nerdy Little Stitcher. 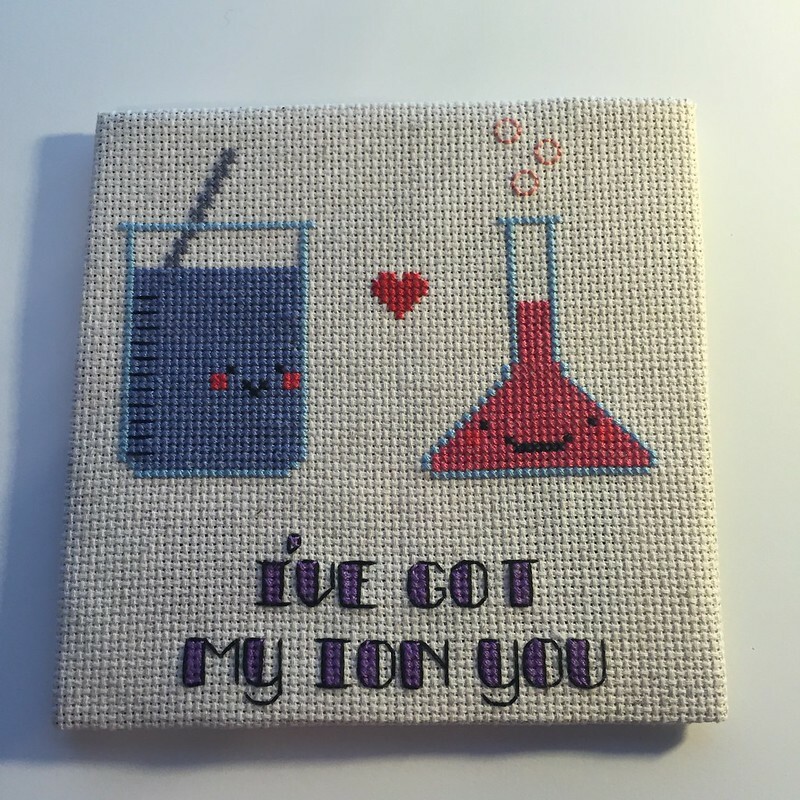 It's a beaker in love with a flask. This former lab geek just had to make this one! It's not perfect (I found the letters to be a little tricky for my mega beginner skills), but I love it just the same. It's so cute. I'll be going to find a frame for it this week and will display it proudly somewhere in the house. I also got a few stitches in on my sock while out on Saturday. 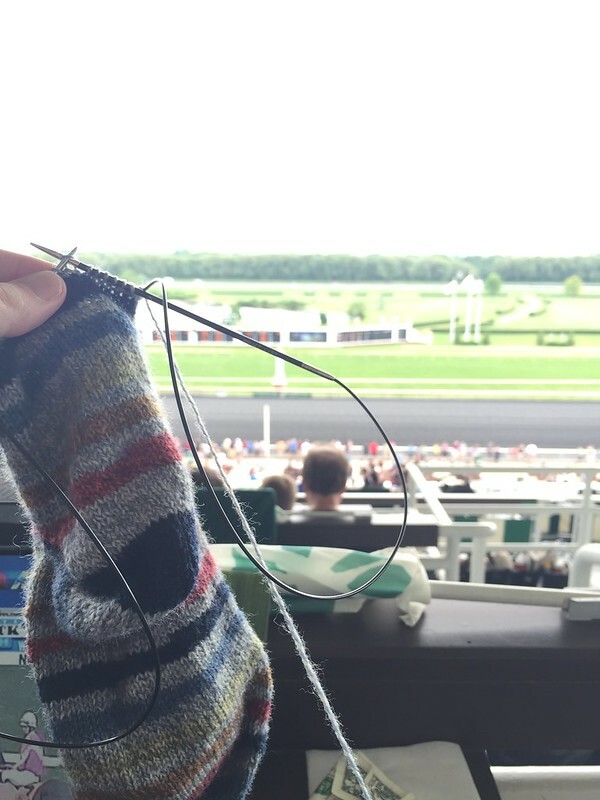 It was World Wide Knit in Public Day, so I did my part and whipped out my sock while at Arlington Park with Alex. A great weekend of being crafty! Last weekend I attended a friend's bridal shower. I bought her some things off the registry (wine glasses and corkscrew...priorities) but I wanted to put a little something extra in the box. 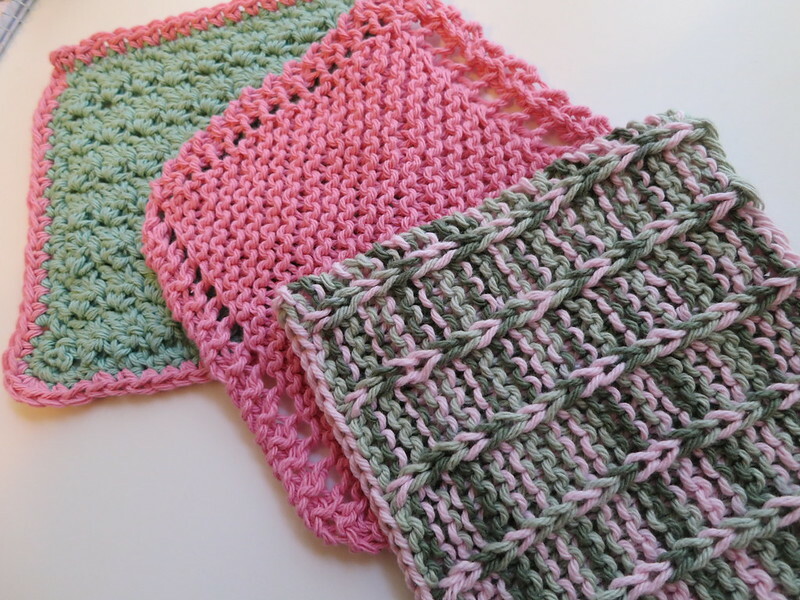 Quick dishcloth knitting and crochet to the rescue! My friend loves all things pink. So I picked up cotton yarn that I thought she would like and got to work. She loved them! And I love them too. I'm happy that I picked up a little extra yarn. I might be casting on for some dishcloths of my own soon. 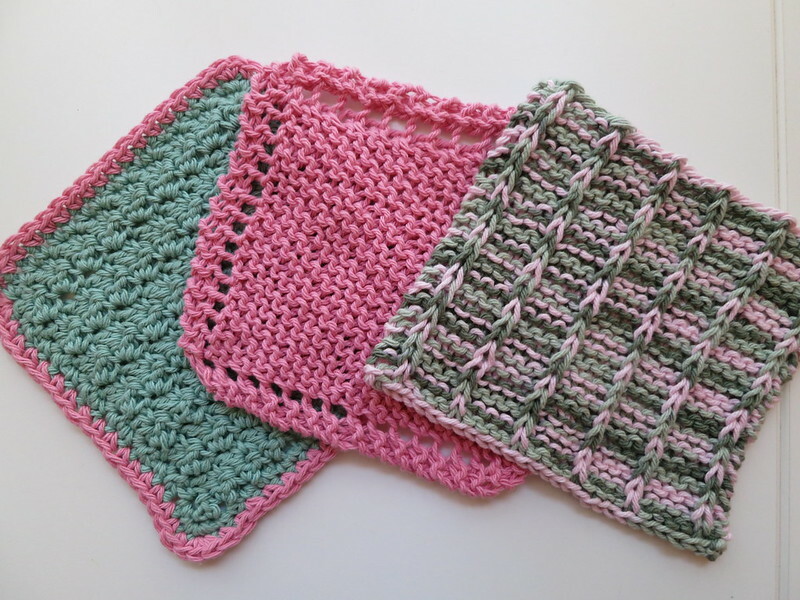 The patterns I used were my go-to patterns for kitchen crafting: Oh So Soft Baby Washcloth (crochet), Grandmother's Favorite (knit), Baby Genius Burp Cloth from Mason Dixon Knitting (knit and with fewer stitches cast on than the pattern says). Wow. The last few weeks have been a little crazy for sure! I went to TNNA (more on that later this week), taught at the lovely String Attached Yarns in Dayton, Ohio, and had my next book due to the publisher. 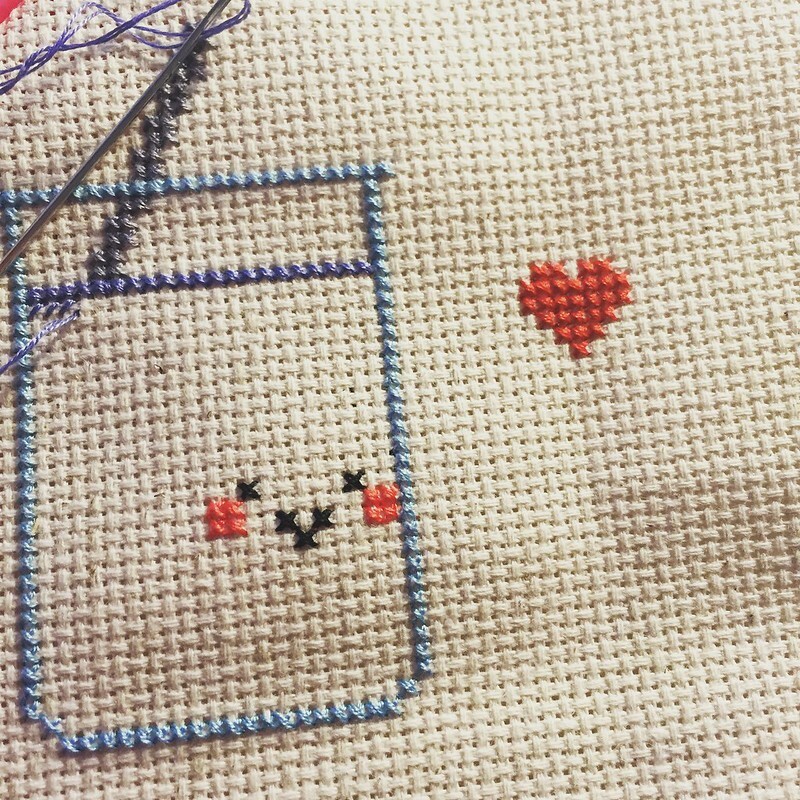 I'm happy to be home and without a big deadline looming, so I decided to give something new a try - cross stitch! I visited Red Gate Stitchery's booth while at TNNA. 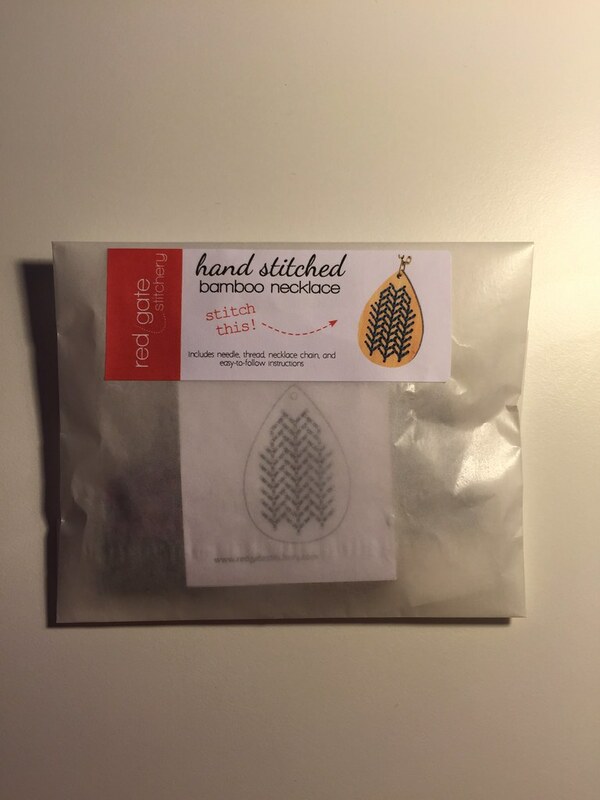 When I got home, I immediately ordered a little DIY necklace kit to try. 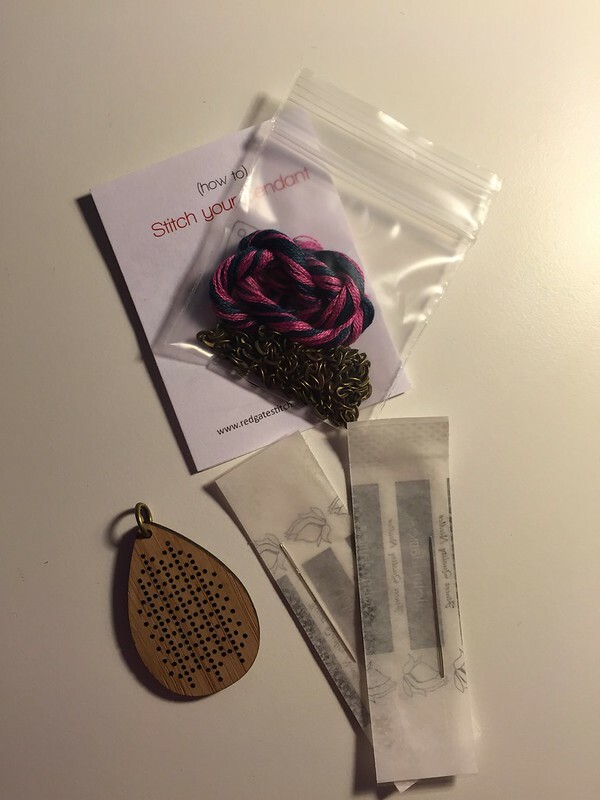 The kit comes with everything you need, including the embroidery floss and needle! Yesterday I took a little time to work on it. An hour or so later and I was done. 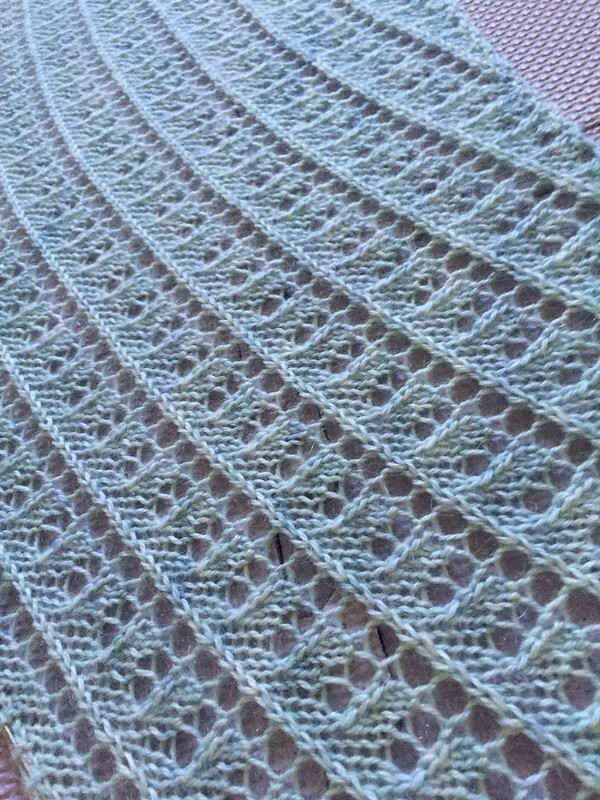 I love that it looks like knitting stitches! I've already ordered another one. I love interesting jewelry and this definitely fits the bill. 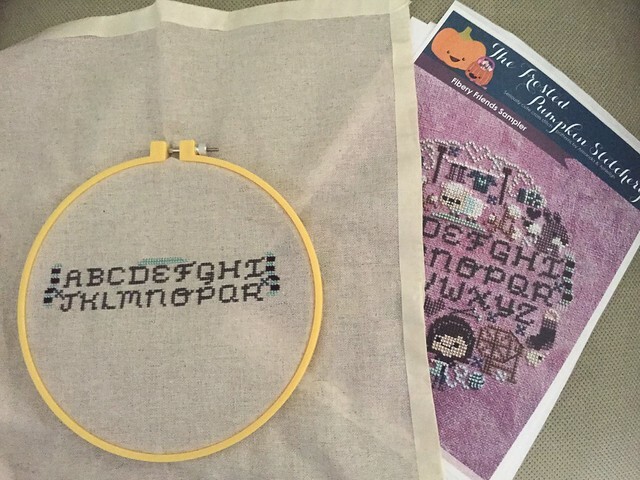 I'm looking forward to trying more cross stitch!